How is it possible that March is starting tomorrow? There are only two months of high school left, which feels crazy. This school year has just blown away with a gust of college essays, piles of homework, and hours spent at activities. We have a long Easter break and have a senior capstone (job shadowing) project at the beginning of May, so there are only 30-something days of actual school left. It’s hard to believe! Of course, even though Spring is just around the corner doesn’t mean that it is warm outside. We’re predicted to get more snow next week, and the high temperatures over the past week have been in the 30s. 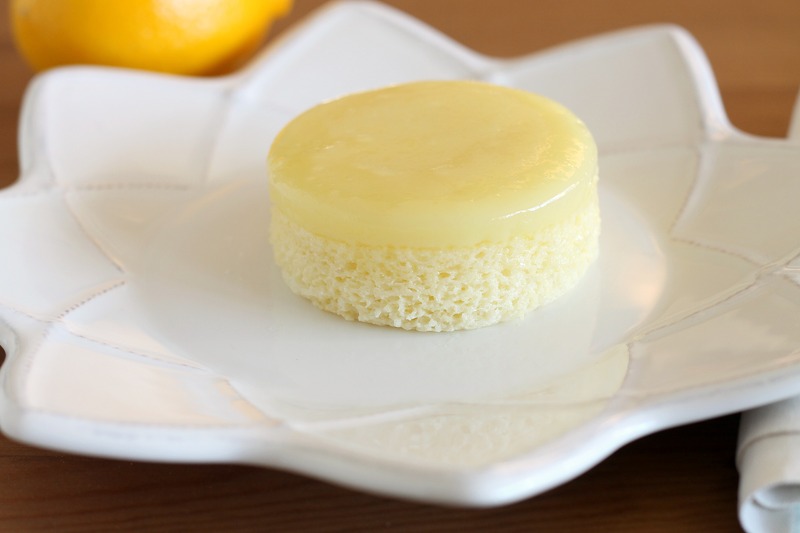 However, we can pretend that Spring is here with this sunny lemon dessert. This dessert feels fancy, but the ingredients are fairly simple (even though it takes a bit of time to make). 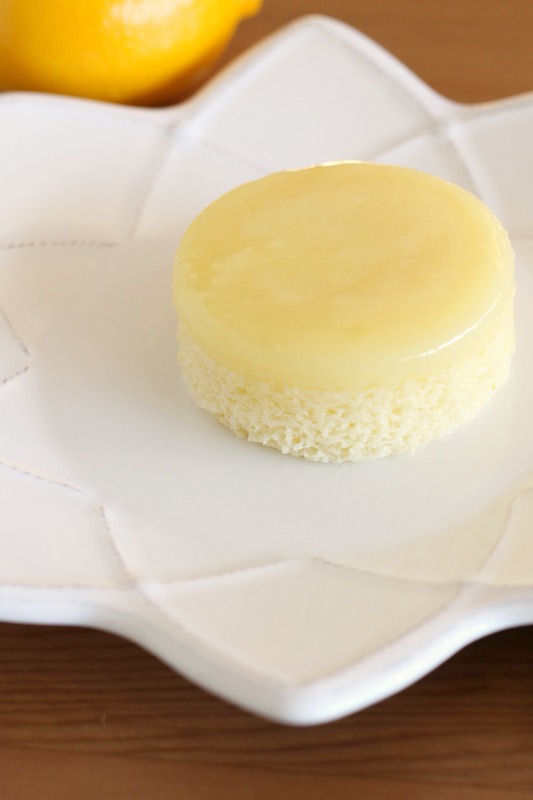 Each cake is basically like a layer of lemon curd and a layer of moist, fluffy sponge cake. The fun part is that it is all one batter when it goes into the oven; the layers form as it bakes. Preheat the oven to 325˚ F. Lightly grease the inside of six 8-ounce ramekins with the softened butter and coat with sugar. Line the inside of a baking dish or roasting pan with a kitchen towel. Place the prepared ramekins on top of the towel inside the baking dish (you will be baking these with the towel lining the bottom of the pan). In a medium bowl, combine the flour, ¾ cup of the sugar and salt. Add the lemon zest and rub the zest into the flour mixture until evenly combined and fragrant. In a large bowl, combine the buttermilk, lemon juice and egg yolks. Whisk to blend. In a separate medium bowl, combine the egg whites and the remaining 1 tablespoon of sugar. Beat until soft peaks form, being careful not to over mix. Add the flour mixture to the bowl with the buttermilk and whisk until well incorporated. Add 1/3 of the whipped egg whites to the bowl and fold in gently with a spatula. Repeat with the remaining whites in two more additions. Once the batter is evenly combined and all the egg whites have been incorporated, divide evenly between the prepared ramekins. Fill the baking dish or roasting pan with hot water so that it reaches about halfway up the sides of the ramekins. Tent the pan with foil, transfer to the oven and bake for 20 minutes. Remove the foil and bake for 20-30 minutes more, just until the cakes are risen and are slightly browned on top. Transfer the ramekins to a cooling rack and let cool to room temperature. Once they are cool, slide a paring knife around the edges of each cake and invert onto serving plates. Top with whipped cream if desired. Enjoy! Note: we doubled our recipe and baked half of it in a larger 8×8-inch pan. It worked just as well as the small cakes (although it couldn’t be inverted). If you go this route rather than individual servings, it will take a bit longer to bake.